Nominations for the Industry Leadership Award 2019 are now open! 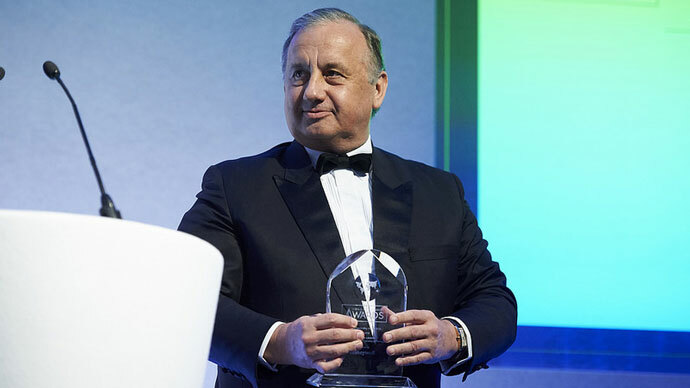 Part of the world-renowned World Post & Parcel Awards programme, the Industry Leadership Award recognises the exemplary leadership of an individual in advancing the mail, parcels or express industry. This coveted award is now open for public nomination and has been won by some of the most prestigious names in the global delivery industry including Francisco De Lacerda, Philippe Wahl, Herna Verhagen and more. If you want to put forward a candidate who has made an outstanding contribution to the mail, parcels and express industry, please nominate them today. Nominations are free and should take no more than 5 minutes of your time. Hurry though, the deadline to nominate for this year’s Industry Leadership Award is the 21 December 2018! As well as the coveted Industry Leadership Award, there are nine additional categories that make up the World Post & Parcel Awards programme. Applications for these categories will open from the 3 December 2018. To find out more, please view the full list of categories available on the Awards website. If you have any questions, Please contact a member of the team at [email protected] or call +44 (0)1628 642910.